When a child is born with or diagnosed later with a disability or chronic health condition, relationships within a congregation may be the only ones a family maintains that does not include someone paid to be there. Support and friendship within a faith community supplements and enhances family relationships in ways that others cannot imagine. Recently we have seen news stories about families of children with autism or other special needs who have been made to feel unwelcome in their church homes. Families of children with chronic health conditions, Down syndrome, or other special needs have responded to these stories with their own heartfelt despair after being made to feel that they and their children are being negatively judged or excluded by important members of their congregation. While some behaviors are obviously outrageous and condemned by all people of faith, other more subtle comments and expectations do serve to make it more difficult to remain involved with their current church or find a new one. A simple comment noting a family's absence followed by a slight criticism of a parent's dedication to regular church attendance can drive a family away when they are repeatedly subjected to the same remark. Everyone in the family will appreciate hearing "It is so good to see you at church today." It is not necessary to point out how long it has been since their previous attendance, how 'faithfully' other families who have a child with the same disability or chronic health condition have attended, or to remind us that the church or others in the congregation have had the great good fortune to be able to there every week the family has missed. Returning after a long absence, positively connecting with other members of a congregation may be as valuable a spiritual experience as worshipping and praying together. Having unpleasant reminders of the reasons that caused a long absence extends the recovery or mourning period; this is time that the family will not get back as they are constantly pushing to move forward into a new normal. Personal opinions are inappropriate conversation when they create greater obstacles for any family to express their faith and benefit from experiences in their own spiritual community. Anyone may wrongly assume that a child, teen or adult with a chronic health condition or developmental disability or their siblings is unaware the vulnerable person is the reason they have missed church services or events. Parents may perceive all advice as criticism, and also may resent the assumption that it is another person's right to invade their or their child's privacy with an interrogation about a series of absences. If they have been through a crisis and have made it to church after any absence, their prayers have been answered and we should all share in the gratitude that has brought us together again. If the family has been away due to travel or conflicting social engagements, it is wrong to assume that they took a vacation from their child's medical condition or other special needs. They should not be expected to share the challenges they experienced while they were away to justify their absence for what would otherwise be perceived as a carefree vacation. Children and teens with disabilities should be allowed to emphasize and repeat the high points of a short vacation and brag about their adventures away from home or church just like their mainstream peers. 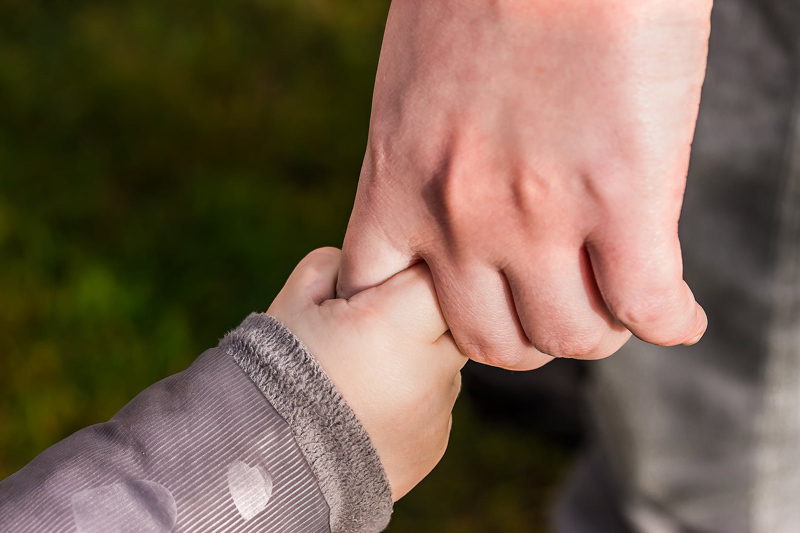 Whether my child nonverbal, nonresponsive or otherwise appears not to be paying attention, he or she can feel the difference between 'We have missed you' and critical comments that follow. You may not have been the first person to express the welcome to imply the criticism; it may be that half a dozen others have felt compelled to do the same. It is also highly insensitive for members of a congregation to respond to a comment about a child's health issue as if it is an inadequate excuse for missing a church function. A more appropriate response would be "I am so sorry to hear that," or "I hope that you feel stronger and healthier every day." It might also be helpful for them to hear, " I keep you in my thoughts and prayers when I do not see you here." Families of children with disabilities are well aware that regular church attendance does not mean that anyone is less a sinner although they may be slightly more saintly than the next person. Those concerned about their congregation dwindling instead of growing may wish to learn how to create a welcoming atmosphere for everyone who walks in. If certain remarks make longtime members of the congregation regret that they attend their own church, imagine how visiting families will interpret those same comments. Faith and need bring individual and families back despite the challenges they face in the outside world. They are not visitors invited by those who do the work of their church, they come because they belong whether or not they have ever stepped foot in that particular building. Please practice kindness and avoid using a welcoming remark as an introduction for your opinion, advice or criticism. A family can not assume that anyone else knows about the challenges in their home life even when the other person is raising or has a family member raising a child with the same or a similar disability. Parents and children who do not live with the challenges of disability have their own struggles that may not be apparent to other members of a congregation; families of children with disabilities deal with the same challenges as their mainstream peers with an extra layer of complication from the disability. That being said, families facing difficult times may spend more time in prayer than those who attend church so regularly they become gatekeepers who make judgements on who deserves a place in the pew. Something else to consider about families of children with special needs is that no matter how rarely they attend church, their prayers may express gratefulness more often than desperate pleas. They may feel great pity that overly sympathetic as well as critical fellow church members have not had the opportunity of living with and loving a person with their child's diagnosis. Dwelling on the challenges of the health issues or inconveniences of a child with special needs blinds even the most prayerful person to the true value of the individual. Parents of a child, teen or adult with significant disabilities may pray that members of their congregation offer the compassion, patience and determination to develop a relationship with their son or daughter that would transform their child's life in ways that education and medical professionals, personal care staff and therapists cannot provide. Children with disabilities have the same diversity in personality, behavior issues and personal struggles as their mainstream peers, and should not have to earn their membership in a congregation by maintaining a level of sociability no one else achieves. A disability is not a badge that gives a whole family the responsibility of being full time ambassadors for their diagnosis and forces them to live up to expectations that would be a challenge for their mainstream peers. Children, teens and adults with developmental disabilities have the right to be there whenever their family is able to attend services or church functions. Other people's lack of understanding and strong counterproductive opinions on discipline and child rearing can be a greater challenge to children with autism or Down syndrome than the disability. Those who attend services regularly have a greater responsibility to maintain a higher level of self control, compassion and humility so they do not expect or demand more from a child with a developmental disability than they practice themselves. The best way to change a child's negative behavior is to change our own. Her dog is not the most interesting thing about her, by far.